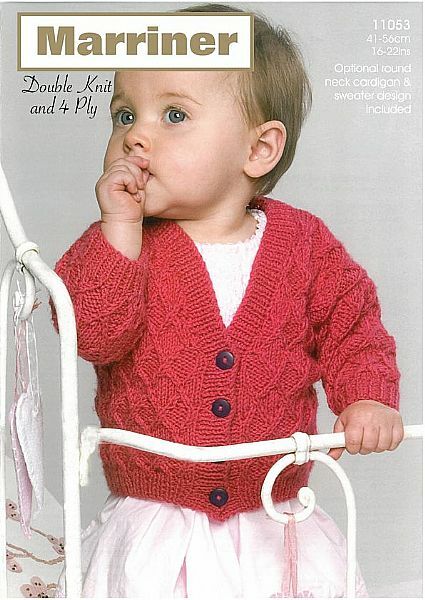 This design features an optional round neck cardigan and sweater, knitted in either 4ply or Double knit yarn. 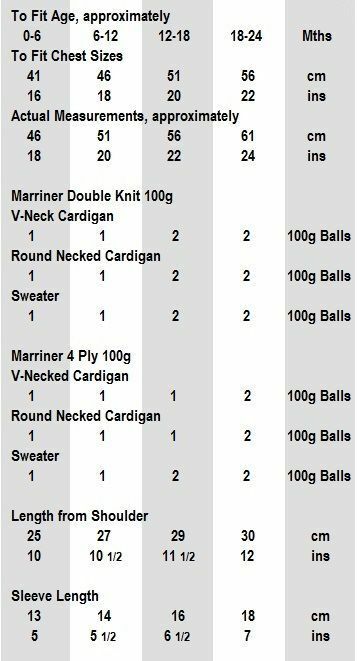 Hooks required 3 1/4mm & 4mm needles for DK. 2 3/4mm & 3 1/4mm needles for 4ply.